The 2018 Toyota Camry has landed, with the word ‘landed’ more literal than it has been in decades. 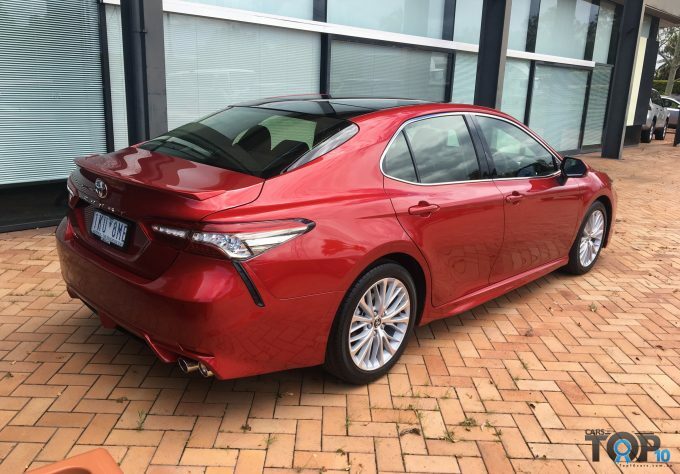 This is the first imported Camry since the 1980s, after the closure of the Altona, Victoria plant earlier this year. 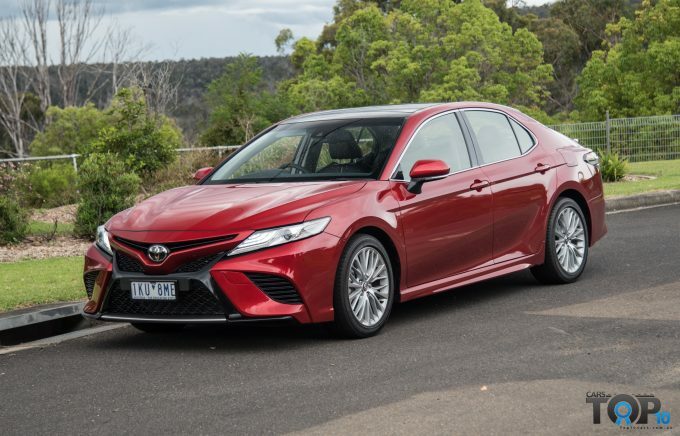 One of our Top 10 Medium cars for 2018-2019, the Camry is all-new from the ground up with only the base four-cylinder engine carrying over. Improvements in active and passive safety, design, driving and comfort are just the beginning for the larger car. 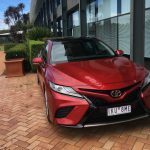 With buyers switching to SUVs and even arch rival Commodore downsizing, this is an interesting direction for the 2018 Camry to go in. 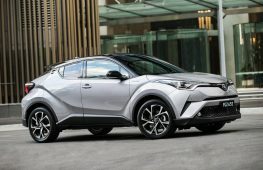 Revised V6 and hybrid powertrains and completely new suspension geometry promise a dramatically different driving experience and the C-HR which sits atop the same platform certainly drove a treat. We drove the new car across a variety of new conditions to see how far the improvements go. 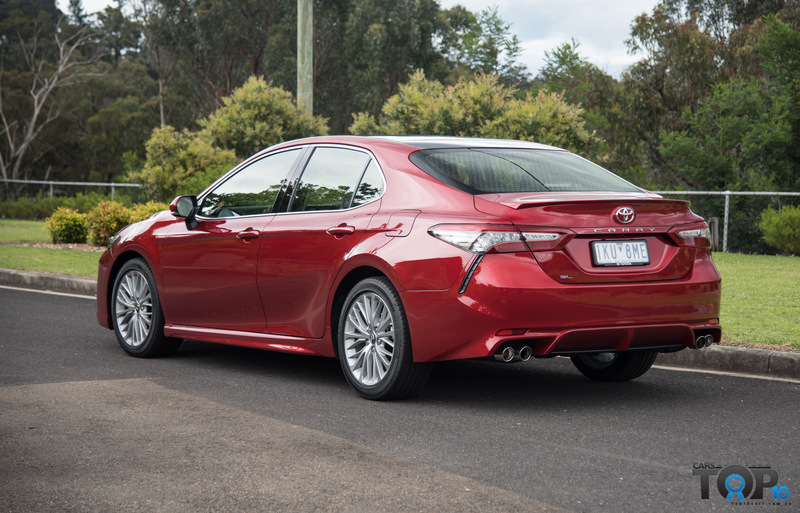 Being a larger car on a longer wheelbase, the sleeker new Camry is now approaching Falcon and Commodore dimensions. 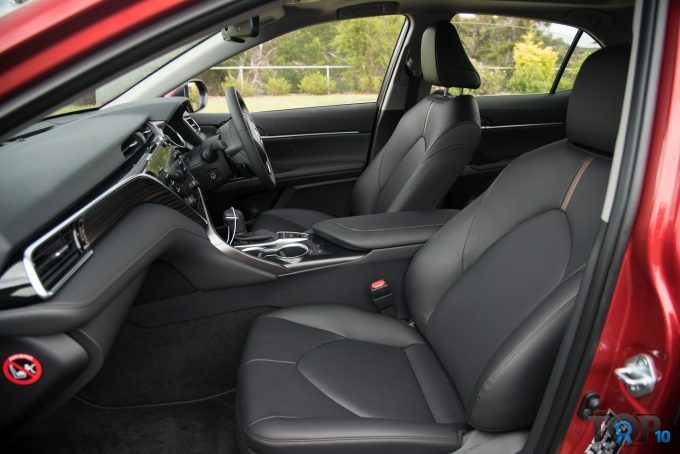 As a result, it feels much more spacious than any of its rivals from every seat. 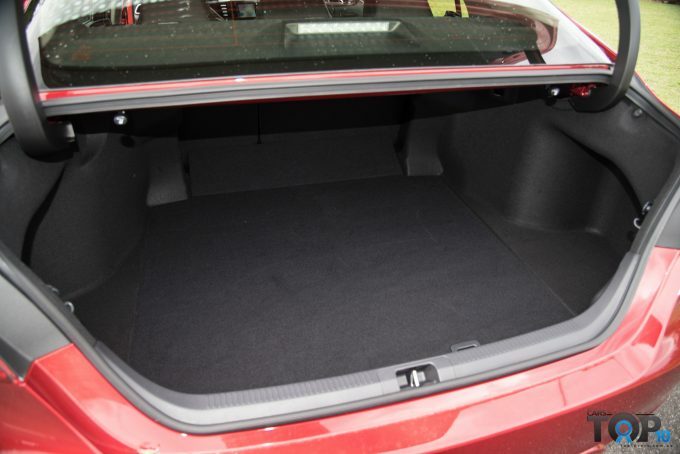 The sloping roofline might impinge on space for anyone over 6 foot 2 inches, but leg and shoulder room are commendable, with ISOFIX child restraint mounts an added bonus. 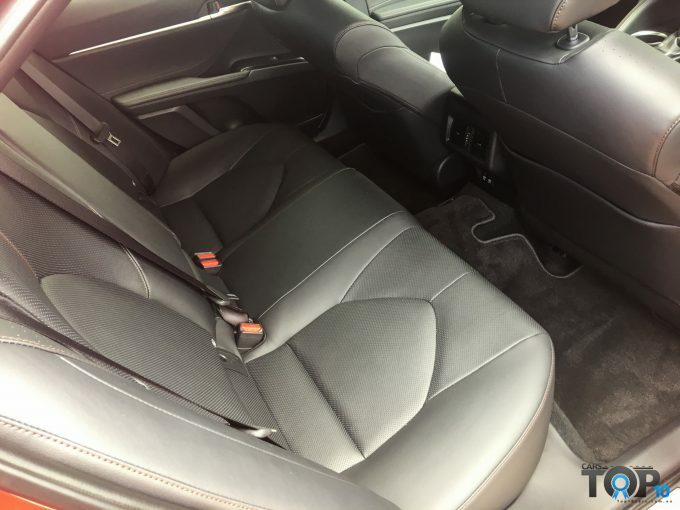 Electric driver and passenger adjustment in the SL, including lumbar and cushion height make the most of the cosseting new seats, which feature ventilation in this spec. Interior materials including stitched leather and new trim inserts on the dash give an upscale feeling. 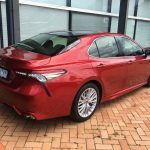 If the Toyota badge wasn’t visible, this could easily pass for the new Lexus ES 350. 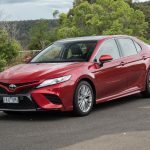 The top-spec Camry SL, replacing both the outgoing Camry Atara SL and Aurion Presara, features a 7.0-inch screen between the new instrument binnacle, which displays speed, fuel consumption data and more. The 10.0-inch head-up display on this model is a welcome touch, with animations making it feel modern and futuristic. It is hard to see when you’re wearing sunglasses, though. The 8.0-inch touch-screen is easy to operate and features wonderful graphics, including the airport runway-style animation on start-up. 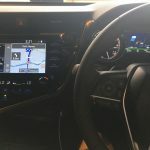 The lack of Apple CarPlay and Android Auto is a minus, though and the satellite navigation can get confused. The addition of an electronic park brake, electrically adjustable steering column and revised interior layout puts everything in easy reach without confusing the driver. Volume and tuning knobs are where they should be, climate control is easy to use. 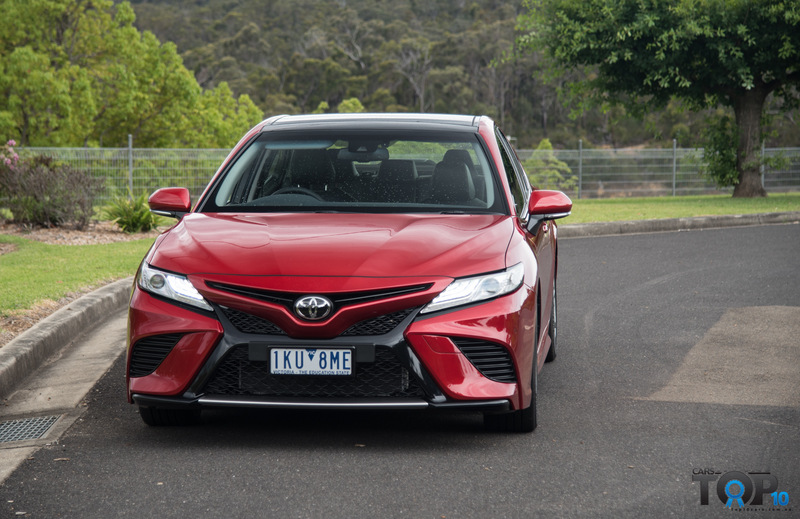 Overall the Camry is a pleasant blend of simplicity and modernity. The use of the new TNGA chassis means the car is lower than before, which is most noticable at the bonnetline. 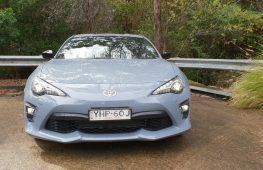 While unmistakably a Toyota, the new model is much sleeker and sexier, particularly with this model’s 19-inch wheels and bodykit extensions- that admittedly make the car more susceptible to driveway scrapes. 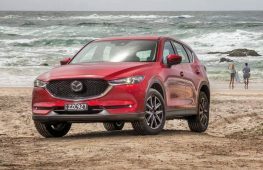 While not exactly daring or edgy, the car looks much better in the metal than photos suggest, which will only dull due to its sheer ubiquity as they start pouring out onto Australian roads like ants. The new interior banishes the boring old design in favour of a driver-oriented cockpit, with many upmarket flourishes and neat touches. One thing we enjoy in particular is the wireless phone charging panel that hides a deep storage area. Everything you touch is upscale and pleasant, though not to Audi levels. 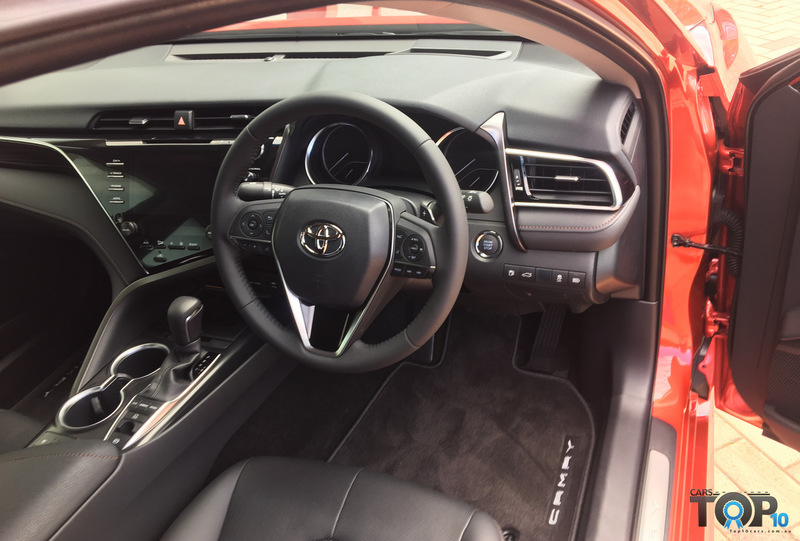 The smart entry, panoramic sunroof and heads-up display are decidedly un-Camry and we mean that in a good way. 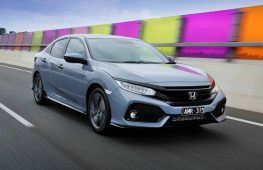 The carry-over 2.5-litre four-cylinder engine makes 135kW and 225Nm, connected to a six-speed automatic. 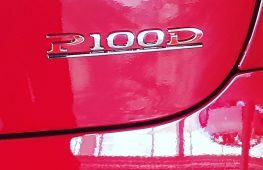 Promising economy of 8.3L/100km, we managed a 0-100km/h time of 10.3 seconds which is not great, but around town it managed just fine, with a dull note, despite the quad exhaust pipes. 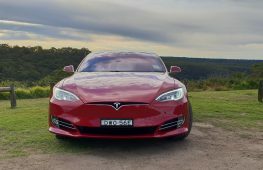 The 3.5-litre, 224kW, 362Nm V6 engine was far more enjoyable, with its more clever eight-speed automatic making better use of its power. 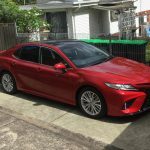 Compared with the Toyota Aurion it replaces, it has more weight to lug around but a 0-100km/h time of 6.8-seconds is still impressive. Overall, we hope to see the V6 continue for some time, perhaps with some extra power and maybe weight loss. 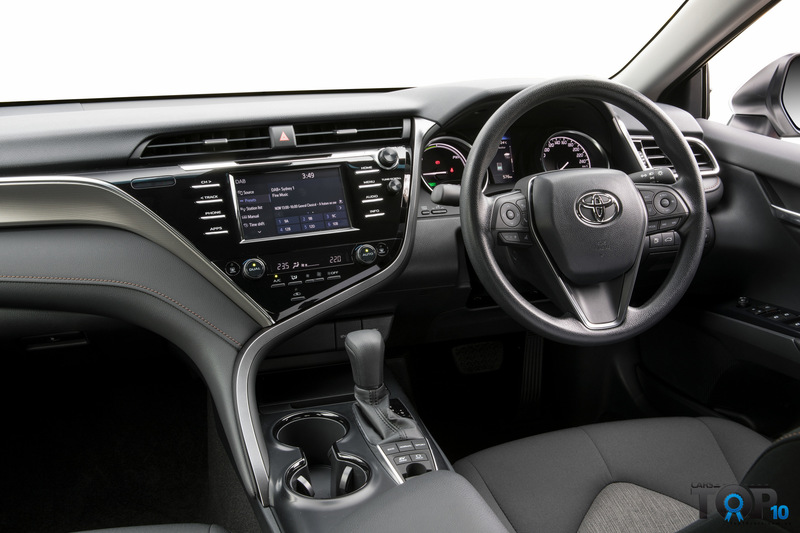 We are glad Toyota resisted the urge to install a CVT automatic gearbox, like it does in the Corolla. 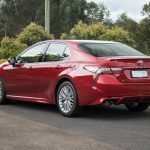 The six-speed auto in the 2.5-litre afford the Camry predictable acceleration out of intersections and no hesitations. 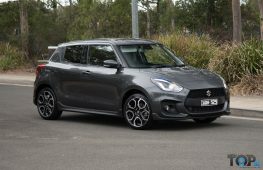 It can be caught in the wrong gear at time, due to the four-cylinder’s paucity of torque but putting it in ‘Sport’ mode mitigates this to some extent. 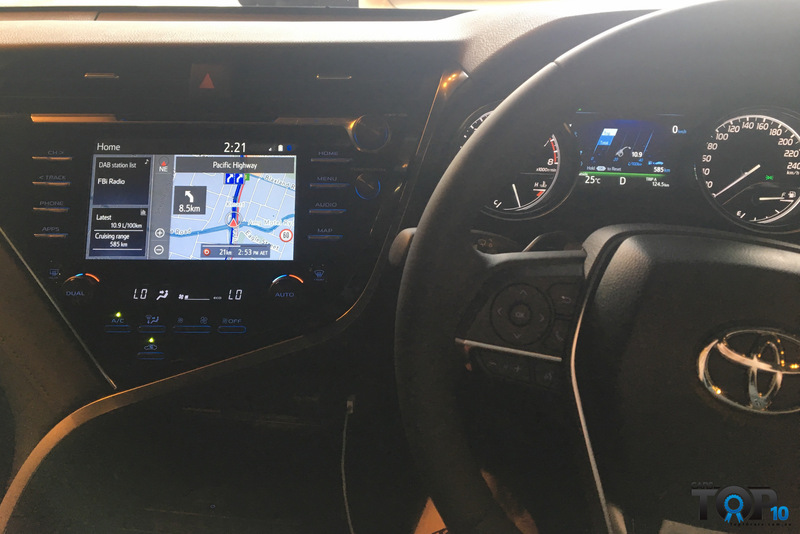 The eight-speeder in the V6 is far smarter, utilising the middle range of gears most of the time and skipping shifts to give you excellent response at all times. It is a pleasure to manipulate with the paddles. The hybrid receives a new e-CVT transmission system that promises less whiny noises and more efficient operation than before. 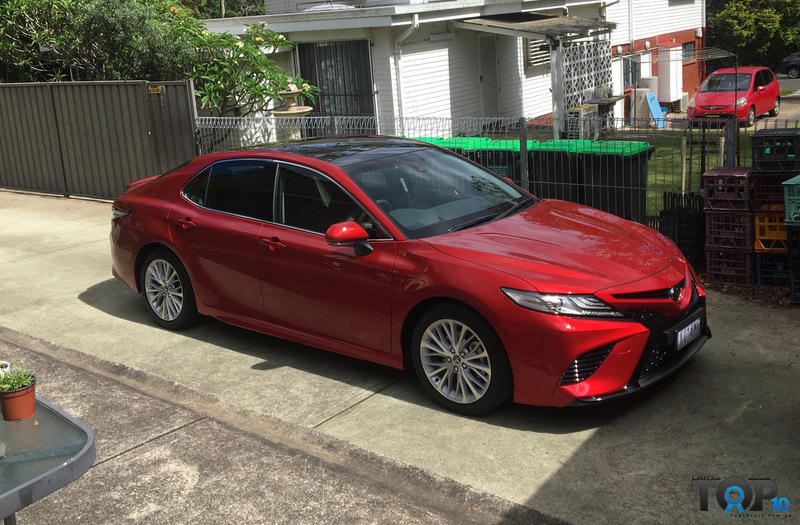 The new platform has completely transformed the Camry into a car with far better road manners than before. 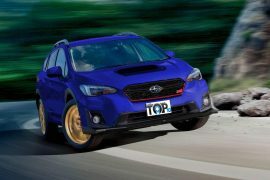 Despite a more luxury-oriented tune, the new chassis sits flat and the rear end tucks into corners with more enthusiasm than before. 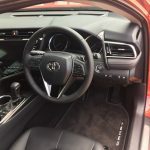 Turn-in isn’t as energetic as, say a Mazda6, but the steering is far cleaner and direct than ever before, even if it doesn’t have much in the way out outright feedback. 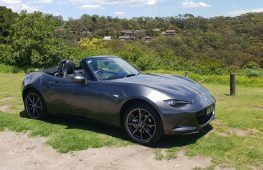 The steering wheel no longer bucks violently when subjected to the V6’s accelerative force, which the old Aurion was notorious for. 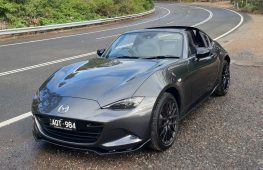 You can really feel the 30 per cent stiffer chassis at work here and there is plenty more potential here, we reckon. Major improvement here as well, with all bumps soaked up with disdain. There has been significant improvements in quietness too, with only some wind noise from the wing mirrors threatening to spoil things. 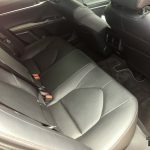 Engine vibration feels more contained than before with a lot of the car’s weight gain attributable to blocking noise pathways into the cabin. 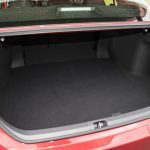 It’s easier than ever for passengers to fall asleep in a Camry, and for once, that’s not because of the car’s boring design. Despite promises of 8.3L/100km and 8.9L/100km respectively, the best we could manage in the real world was 10.9 and 12.0 for the four-cylinder and V6. The hybrid’s 4.2L/100km official figure is very impressive and we can’t wait for some wheel time with that one. 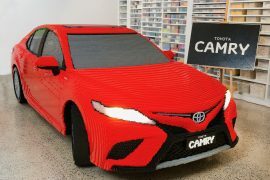 Camry’s $195 capped price service for the first five services is outstanding for a vehicle of this size and class. 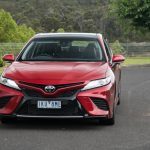 It shows that Toyota still wants to keep trouble-free motoring as a cornerstone of Camry’s character. 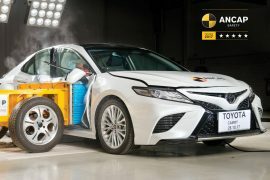 As detailed in our Top 10 safest new cars feature, the new Camry does extremely well in this department. 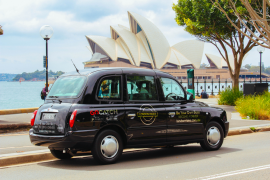 All models from the Ascent up feature autonomous emergency braking (AEB) and a five star ANCAP rating. The bigger body’s additional stiffness makes for an excellent crash rating. You can find more information about that here. The addition of adaptive cruise control, lane departure warning, rear cross-traffic alert and heads up display add to the safety equation too. 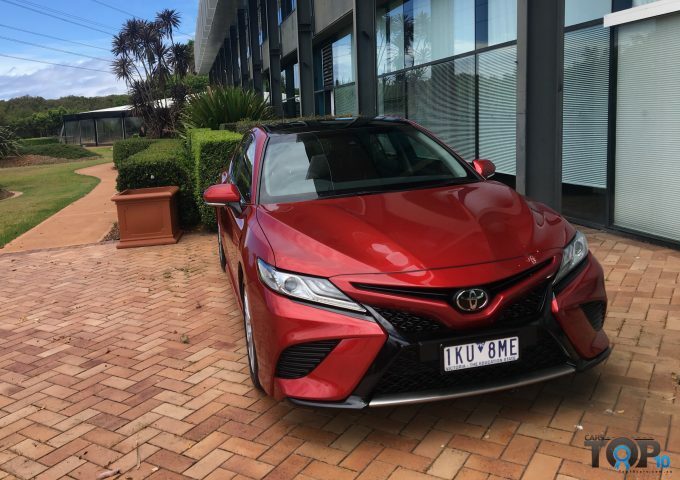 That Toyota has managed to keep the price as low as it has despite the all-new platform and wholesale increase of safety and technology is a revelation. The Ascent starts at $27,690, with the SL tested starting at $39,990 for the four-cylinder and the V6 adding $4000 more. 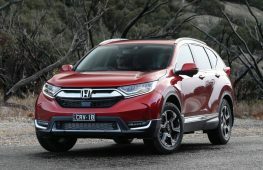 The hybrid starting at $29,990 for Ascent and $40,990 is all the more impressive when you consider its new drivetrain and major economy improvements. While not an exhilarating sports sedan, Camry has finally broken the mould of just being an average, bland sedan and, in V6 guise at least is more entertaining and sophisticated than ever before. It now approaches Lexus levels of luxury, refinement and equipment for similar money. Only the four-cylinder engine’s bland character tarnishes the new car with the foul odour of the past. Otherwise it is a brilliant large sedan. Check out our quick walk-through video below for more.